Wendy spotted this in Hattiesburg MS. I guess these are some bits of history from somebody else's hometown. History of the letter "A"? WV--inissesc: what my son says when I tell him to clean up his room. My guess is the museum is divided into two sections. "A" and "B". 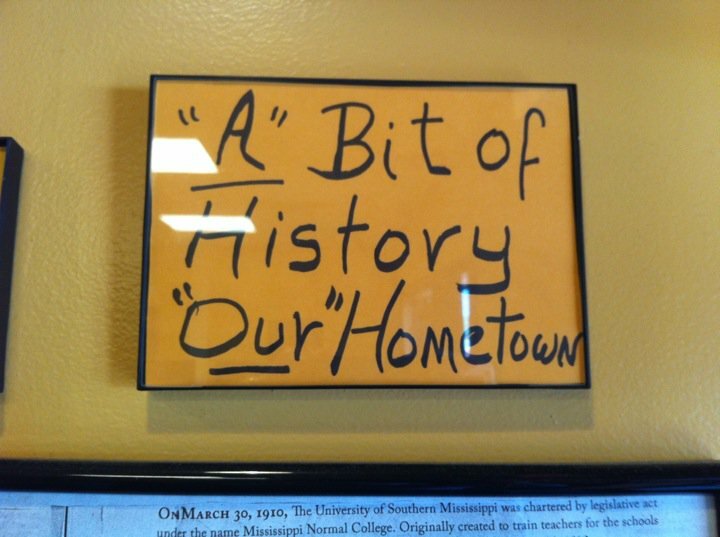 The "B" section is devoted to others, imigrants perhaps, or Northerners who have migrated southward, and have not been fully accepted into "our" community. WV: bibless, a simultaneous anoiting in the presence of two ministers. 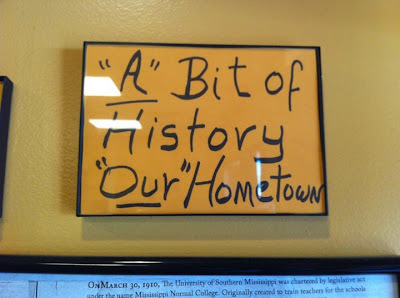 Unnecessary quotation marks are usually used for emphasis. This time they go around two of the least important words. What gives?